GST - Goods and Services Tax is an indirect tax levied in India on the sale of goods and services. When GST passed by Parliament of India, many businesspersons and consumers had confusion, and many of them still have. The motto of this blog is to help people get rid of this GST confusion. Here, we are stating answers to few questions which can be helpful. 1.What is GST in India? GST is an indirect tax which has replaced many existing indirect taxes in India. GST stands for Goods and Service Tax, It passed in the parliament on 29th March 2017, and this act came into effect from 1st July 2017. 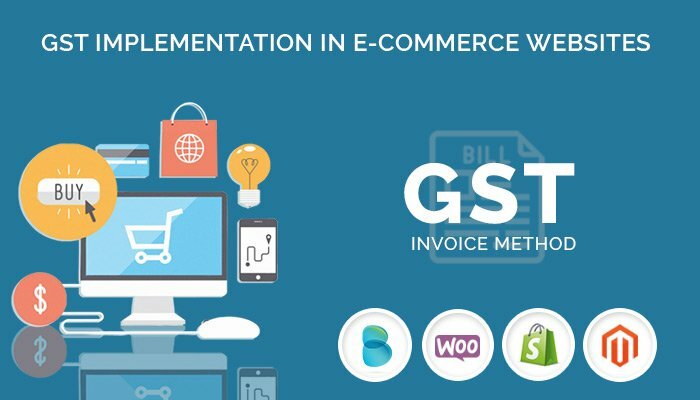 Along with its impact, it also became mandatory to implement in invoice functionality for all e-commerce sites. Here I am going to state the understating of the GST logic, and the logic will apply to all kind of stores either Magento, WooCommerce, Shopify, Big commerce or any other store. • SGST: Collected by the State Government on an intra-state sale (E.g., Within Rajasthan) When intra-state sale happen CGST, and SGST applies, it means if the seller and buyer both belong to the same state that time total tax is divided into two parts evenly regarding CGST and SGST. For Example, Suresh is a seller from Rajasthan and Mukesh purchased a mobile of 18% GST, and his shipping address is in Rajasthan. Now, GST will get divided in CGST with 9%, and SGST with 9%. • IGST: Collected by the Central Government for inter-state sale (E.g., Rajasthan to Punjab) For Example, Suresh is a seller from Rajasthan and Mukesh purchased a mobile of 18% GST, and his shipping address is in Punjab. Now, GST will be 18% comprising of the only IGST. GST classified according to different products. So if you sell various types of products, then there must be an option with products to set the GST. GST calculated on shipping charges. If the consumer has billing and shipping address different, then GST will be accounted according to the shipping address. GST is calculated and managed according to HSN (Harmonized System Nomenclature) code. So now vendor has to show HSN code along with SKU code of the product. 3. What Changes need to made in the invoice? The invoice must be displaying the price in detail manner by describing GST (IGST or CGST & SGST) of every product. There must also be HSN code along with SKU code. There must be GSTIN no of the vendor on the invoice and also State VAT code. If the transaction is happening between B2B then there must be also GSTIN of buyer. What does a developer need to do for GST implementation? First of all set five classes GST slabs. It will help the vendor to select the GST slab class while uploading the product. Match the state of seller and buyer at the time of order. Check the applicable GST and reflect on the invoice. Include HSN code, GSTIN, and state VAT code in an invoice. Calculate total price for every product and shipping also and display payable amount in the end with GST. If there is a multi-vendor for the site, then for customer satisfaction there must be one summarized invoice. Note*: If Vendor’s transactions are more than 20 Lakhs per annum then it’s compulsory to apply GST in your invoice management.